College libraries have evolved: Card catalogs are now online databases, robots fetch books, there are 3D printers in the basement, and electrical outlets—once utilized mostly by the custodian’s vacuum cleaner—are now a hot commodity. “It’s all about the plugs,” Carol Perruso, a Cal State Long Beach librarian, joked as she pointed to electrical outlets tucked away in various hidey-holes inside furniture. On the recently renovated fifth floor of the campus library, tables each hold about eight outlets, and sometimes that’s not even enough for students and their power-hungry devices. Group work cubicles also have hook-ups to huge TV screens so students can preview and work on presentations together. But 15 years ago, outlets and presentation screens weren’t on librarians’ minds. The bigger need was computers. 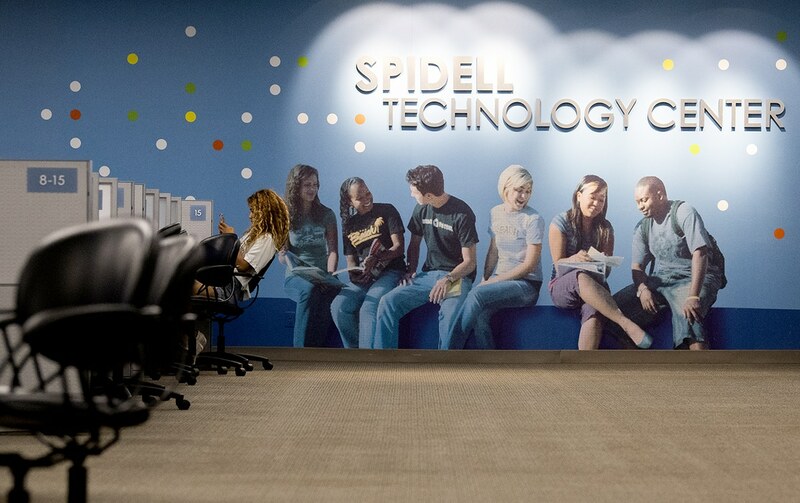 The library only had about 40 computer workstations until 2007 when the Spidell Technology Center was built, adding more than 200 workstations. Even with that many computers, students had packed into waiting areas to use them, librarian Joseph Aubele said. “Today, even during the busiest time of the semester, there is not a wait for a computer anymore, people have their own laptops,” he said. 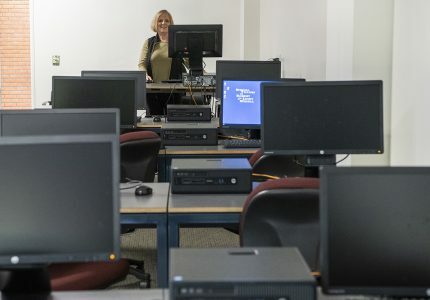 The cost of laptops and computing devices has dropped significantly since then, he said, making it easier for students to buy and bring their own. “You always have to be looking at what’s the next trend, what are we going to do?” Aubele said. He questioned if the library would even need that many computers in five years. The newest trend the library has turned to are 3D printers. The library just last month opened the Gerald M. Kline Innovation Space in the basement with a collection of eight industrial-grade 3D printers available to students and faculty. The space opened with much excitement as CSULB president Jane Close Conoley touted it as yet another example of the library reinventing itself. In 2008, the library got a new invention, too: a four-story automated book retrieval system. Basically, a robotic system stores and fetches books automatically, opening up more room for student and faculty work space. 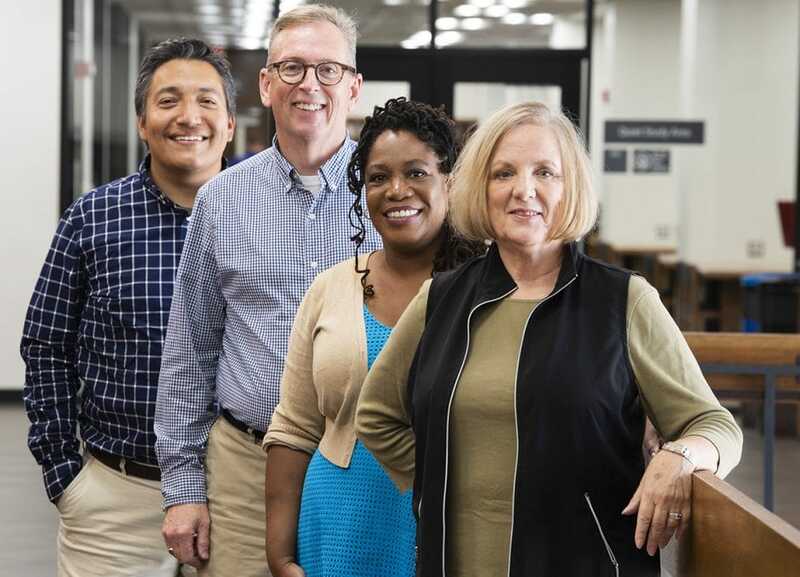 But even with all the technology changes, librarians agree one thing has stayed the same: the librarian’s job to help students think critically, ask questions and help them find the answers. A card catalog is made up of drawers full of organized note cards with information and the location of books inside a library. The system was widely replaced by online library catalogs and databases in the early 2000s. Both systems need thoughtful searches to be effective, Perruso said, and the right sources can’t be found by just typing a question into a search bar. Part of the challenge, however, is getting students to use the databases, rather than just Googling their questions. Google is no longer the enemy to librarians it once was, but it can be a problem since the internet gives students a plethora of unfiltered information, often leading students to sources that haven’t been peer-reviewed, Perruso said. “It’s all about teaching critical thinking skills,” she said. CSULB librarians teach these skills in the classroom, in workshops and on an individual basis. They work with students to teach them how to be information consumers and to question their sources with skepticism, whether those sources are Wikipedia or from a database, librarian Tracy Gilmore said.